Lake Erie Monsters are the Calder Cup Champions! This girl wanted to get down. Machine Gun Kelly getting wild at the Cavs Parade. Ty Lue finding time to relax after the brutal NBA Finals schedule. 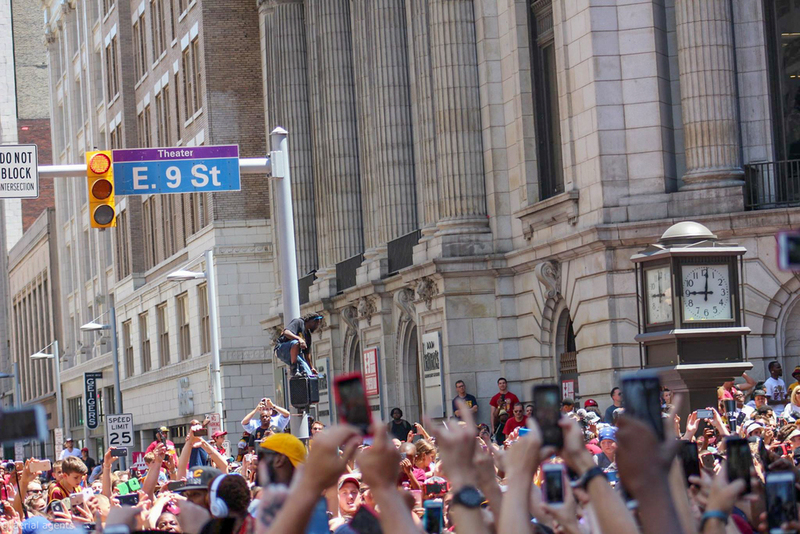 Kyrie Irving feeling the Love from the fans as he strolls down E.9th. Matthew Dellavedova showing love to the fans.